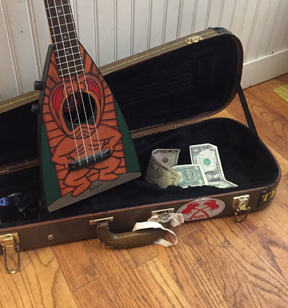 sound hole label reads: "Harold L. Summers Genuine Waikiki Koa Ukulele; Made in Hawaii-Paradise". Probably made by Kumalae. Paul Summers and Harold Summers were teachers of the Ukulele and other strings instruments in the 30's and 40's. Together, they had a music company and taught Hawaiian Guitar and Ukulele, but they did not manufacture their own Ukes.